Stanton’s All Natural Pork is a family-owned production with the intention of producing quality pork for consumers. 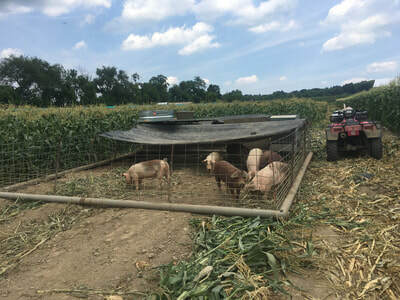 We raise and grow our pork on our main farm, Stanton’s Feura Farm, located in Feura Bush, NY. 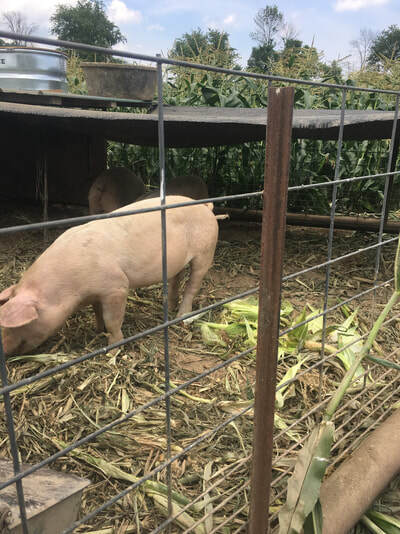 The main focus of raising our pork is a clean pasture with fresh ground to dig up and a variety of fruits and vegetables to munch on. Our pork is all natural and pasture raised, with small feedings of corn throughout the growing process. We take pride in providing our customers with quality pork that is tender, has great flavor, and is nutritional to our bodies. It is important that our customers have the opportunity to purchase all natural, local pork and know where it comes from. At Stanton’s, we can ensure that your pork is top quality, with a taste that will not fall short of your expectations.